On the hunt for a car, but don’t want to pay new prices? Don’t sweat! 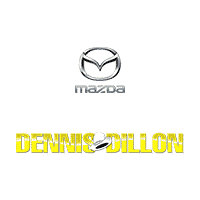 Dennis Dillon Mazda has 103 used cars for sale near Nampa and Caldwell. 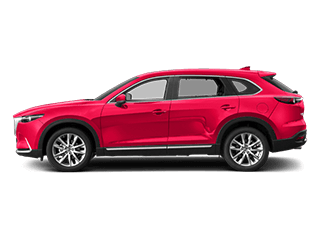 Sure, you’ll find flagship used Mazda models like the used Mazda CX-9 and the used Mazda3, but you’ll also find used cars from popular and reliable manufacturers like Toyota, Honda, and Ford. 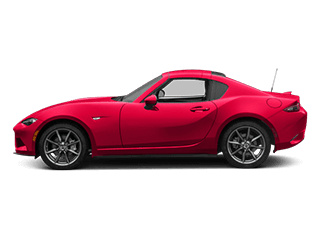 Why stick with a used Mazda from Dennis Dillon Mazda, though? 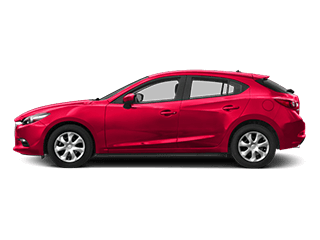 Because Mazda makes reliable and trusty used cars you’ll spot on Meridian roads! So check out our inventory below. Clean CARFAX. Certified. Snowflake White Pearl Mica 2018 Mazda Mazda3 Touring FWD 6-Speed Automatic SKYACTIV® 2.5L 4-Cylinder DOHC 16V Audio Package, Backup Camera, Bluetooth, Leather Seats, Power Mirror Package, Power Package, Security Package, Sunroof/Moonroof, 4D Hatchback, SKYACTIV® 2.5L 4-Cylinder DOHC 16V, 6-Speed Automatic, FWD.Recent Arrival! Odometer is 16640 miles below market average! 26/35 City/Highway MPGMazda Certified Pre-Owned Details: * Roadside Assistance * Transferable Warranty * Powertrain Limited Warranty: 84 Month/100,000 Mile (whichever comes first) from original in-service date * Limited Warranty: 12 Month/12,000 Mile (whichever comes first) after new car warranty expires or from certified purchase date * Warranty Deductible: $0 * 160 Point Inspection * Includes Autocheck Vehicle History Report with 3 Year Buyback Protection * Vehicle History* Certified pricing is only available for prime lender financing MCS (625 + FICO Score) through Dennis Dillon Kia/Mazda, Financing not obtained through Dennis Dillon Kia/Mazda, non-prime financing, and or cash transcations which may include trade equity, will result in an increase in the price of the vehicle of $1,000.00. Any and all actions regarding the transaction of vehicle, must be excuted in person at Dennis Dillon Kia/Mazda facility. Certain items such as a second key, floor mats, owners manuals may not be available on all vehicles. While every reasonable effort is made to ensure the accuracy of this data, we are not responsible for errors and or omissions contained on these or other 3rd party internet pages. Clean CARFAX. Certified. 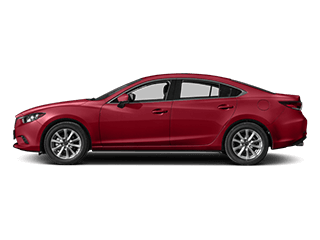 Gun Metallic 2018 Mazda Mazda6 Touring FWD 6-Speed Automatic SKYACTIV -G 2.5L I4 DOHC 16V Backup Camera, Bluetooth, Heat Package, Leather Seats, Power Mirror Package, Power Package, Premium Sound Package, Safety Package, Security Package, Sunroof/Moonroof, MAZDA CERTIFIED, Mazda6 Touring, 4D Sedan, SKYACTIV -G 2.5L I4 DOHC 16V, 6-Speed Automatic, FWD, Gun Metallic, black Artificial Leather.Recent Arrival! Odometer is 13351 miles below market average! 26/35 City/Highway MPGMazda Certified Pre-Owned Details:* Powertrain Limited Warranty: 84 Month/100,000 Mile (whichever comes first) from original in-service date* Includes Autocheck Vehicle History Report with 3 Year Buyback Protection* Vehicle History* Limited Warranty: 12 Month/12,000 Mile (whichever comes first) after new car warranty expires or from certified purchase date* 160 Point Inspection* Transferable Warranty* Warranty Deductible: $0* Roadside Assistance* Certified pricing is only available for prime lender financing MCS (625 + FICO Score) through Dennis Dillon Kia/Mazda, Financing not obtained through Dennis Dillon Kia/Mazda, non-prime financing, and or cash transcations which may include trade equity, will result in an increase in the price of the vehicle of $1,000.00. Any and all actions regarding the transaction of vehicle, must be excuted in person at Dennis Dillon Kia/Mazda facility. Certain items such as a second key, floor mats, owners manuals may not be available on all vehicles. While every reasonable effort is made to ensure the accuracy of this data, we are not responsible for errors and or omissions contained on these or other 3rd party internet pages. CARFAX One-Owner. Clean CARFAX. Certified. Sonic Silver Metallic 2018 Mazda CX-5 Touring AWD 6-Speed Automatic SKYACTIV 2.5L 4-Cylinder DOHC 16V Alloy Wheels, Audio Package, Backup Camera, Bluetooth, Leather Seats, Safety Package, Security Package, Touring Package, CX-5 Touring, 4D Sport Utility, SKYACTIV 2.5L 4-Cylinder DOHC 16V, 6-Speed Automatic, AWD.24/30 City/Highway MPGMazda Certified Pre-Owned Details:* Includes Autocheck Vehicle History Report with 3 Year Buyback Protection* Powertrain Limited Warranty: 84 Month/100,000 Mile (whichever comes first) from original in-service date* Transferable Warranty* Roadside Assistance* Limited Warranty: 12 Month/12,000 Mile (whichever comes first) after new car warranty expires or from certified purchase date* 160 Point Inspection* Warranty Deductible: $0* Vehicle History* Certified pricing is only available for prime lender financing MCS (625 + FICO Score) through Dennis Dillon Kia/Mazda, Financing not obtained through Dennis Dillon Kia/Mazda, non-prime financing, and or cash transcations which may include trade equity, will result in an increase in the price of the vehicle of $1,000.00. Any and all actions regarding the transaction of vehicle, must be excuted in person at Dennis Dillon Kia/Mazda facility. Certain items such as a second key, floor mats, owners manuals may not be available on all vehicles. While every reasonable effort is made to ensure the accuracy of this data, we are not responsible for errors and or omissions contained on these or other 3rd party internet pages. CARFAX One-Owner. Clean CARFAX. Certified. 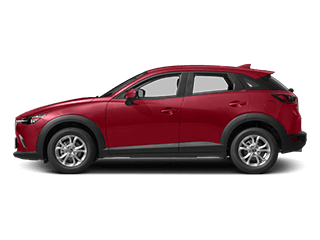 Machine Gray Metallic 2018 Mazda CX-5 Touring AWD 6-Speed Automatic SKYACTIV 2.5L 4-Cylinder DOHC 16V Alloy Wheels, Audio Package, Backup Camera, Bluetooth, Power Mirror Package, Power Package, Safety Package, Security Package, Touring Package, CX-5 Touring, 4D Sport Utility, SKYACTIV 2.5L 4-Cylinder DOHC 16V, 6-Speed Automatic, AWD.Recent Arrival! 24/30 City/Highway MPGMazda Certified Pre-Owned Details:* 160 Point Inspection* Vehicle History* Powertrain Limited Warranty: 84 Month/100,000 Mile (whichever comes first) from original in-service date* Warranty Deductible: $0* Limited Warranty: 12 Month/12,000 Mile (whichever comes first) after new car warranty expires or from certified purchase date* Includes Autocheck Vehicle History Report with 3 Year Buyback Protection* Transferable Warranty* Roadside Assistance* Certified pricing is only available for prime lender financing MCS (625 + FICO Score) through Dennis Dillon Kia/Mazda, Financing not obtained through Dennis Dillon Kia/Mazda, non-prime financing, and or cash transcations which may include trade equity, will result in an increase in the price of the vehicle of $1,000.00. Any and all actions regarding the transaction of vehicle, must be excuted in person at Dennis Dillon Kia/Mazda facility. Certain items such as a second key, floor mats, owners manuals may not be available on all vehicles. While every reasonable effort is made to ensure the accuracy of this data, we are not responsible for errors and or omissions contained on these or other 3rd party internet pages. CARFAX One-Owner. Clean CARFAX. Certified. Sonic Silver Metallic 2018 Mazda CX-5 Touring AWD 6-Speed Automatic SKYACTIV 2.5L 4-Cylinder DOHC 16V Alloy Wheels, Audio Package, Backup Camera, Bluetooth, Power Mirror Package, Power Package, Safety Package, Security Package, Touring Package, CX-5 Touring, 4D Sport Utility, SKYACTIV 2.5L 4-Cylinder DOHC 16V, 6-Speed Automatic, AWD, Sonic Silver Metallic, Black w/Leather Seat Trim.Recent Arrival! 24/30 City/Highway MPGMazda Certified Pre-Owned Details:* Transferable Warranty* Powertrain Limited Warranty: 84 Month/100,000 Mile (whichever comes first) from original in-service date* Vehicle History* Includes Autocheck Vehicle History Report with 3 Year Buyback Protection* Warranty Deductible: $0* Limited Warranty: 12 Month/12,000 Mile (whichever comes first) after new car warranty expires or from certified purchase date* 160 Point Inspection* Roadside Assistance* Certified pricing is only available for prime lender financing MCS (625 + FICO Score) through Dennis Dillon Kia/Mazda, Financing not obtained through Dennis Dillon Kia/Mazda, non-prime financing, and or cash transcations which may include trade equity, will result in an increase in the price of the vehicle of $1,000.00. Any and all actions regarding the transaction of vehicle, must be excuted in person at Dennis Dillon Kia/Mazda facility. Certain items such as a second key, floor mats, owners manuals may not be available on all vehicles. While every reasonable effort is made to ensure the accuracy of this data, we are not responsible for errors and or omissions contained on these or other 3rd party internet pages. CARFAX One-Owner. Clean CARFAX. Certified. 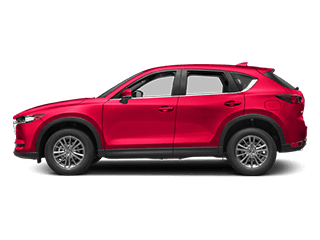 Machine Gray Metallic 2018 Mazda CX-5 Touring AWD 6-Speed Automatic SKYACTIV 2.5L 4-Cylinder DOHC 16V Alloy Wheels, Audio Package, Backup Camera, Bluetooth, Power Mirror Package, Power Package, Safety Package, Security Package, Touring Package, CX-5 Touring, 4D Sport Utility, SKYACTIV 2.5L 4-Cylinder DOHC 16V, 6-Speed Automatic, AWD, Machine Gray Metallic, Black w/Leather Seat Trim.Recent Arrival! 24/30 City/Highway MPGMazda Certified Pre-Owned Details:* Includes Autocheck Vehicle History Report with 3 Year Buyback Protection* Warranty Deductible: $0* Roadside Assistance* 160 Point Inspection* Limited Warranty: 12 Month/12,000 Mile (whichever comes first) after new car warranty expires or from certified purchase date* Vehicle History* Powertrain Limited Warranty: 84 Month/100,000 Mile (whichever comes first) from original in-service date* Transferable Warranty* Certified pricing is only available for prime lender financing MCS (625 + FICO Score) through Dennis Dillon Kia/Mazda, Financing not obtained through Dennis Dillon Kia/Mazda, non-prime financing, and or cash transcations which may include trade equity, will result in an increase in the price of the vehicle of $1,000.00. Any and all actions regarding the transaction of vehicle, must be excuted in person at Dennis Dillon Kia/Mazda facility. Certain items such as a second key, floor mats, owners manuals may not be available on all vehicles. While every reasonable effort is made to ensure the accuracy of this data, we are not responsible for errors and or omissions contained on these or other 3rd party internet pages. New vehicle pricing includes all offers and incentives. Tax, Title and Tags not included in vehicle prices shown and must be paid by the purchaser. While great effort is made to ensure the accuracy of the information on this site, errors do occur so please verify information with a customer service rep. This is easily done by calling us at (208) 314-9811 or by visiting us at the dealership. 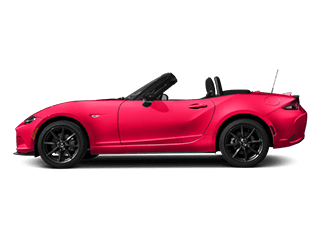 Why Buy from Dennis Dillon Mazda? When you buy a used car from Dennis Dillon Mazda in Boise, ID, you can be sure you’re getting a quality vehicle. Each of our pre-owned vehicles has been meticulously inspected for quality. In addition, if you choose one of our many Certified Pre-Owned Mazda vehicles, you’ll drive around Meridian with an added peace of mind; after all, these vehicles undergo a rigorous inspection. Looking to save even more, so you can spend more at your favorite ski resort? Check out our used car specials. After you’ve explored your options, calculate your true cost of ownership and contact us today!